Cryo Coders are Polypropylene Coders which are available in different colours which can easily fit into the cap of cryo vials for colour identification of different samples. 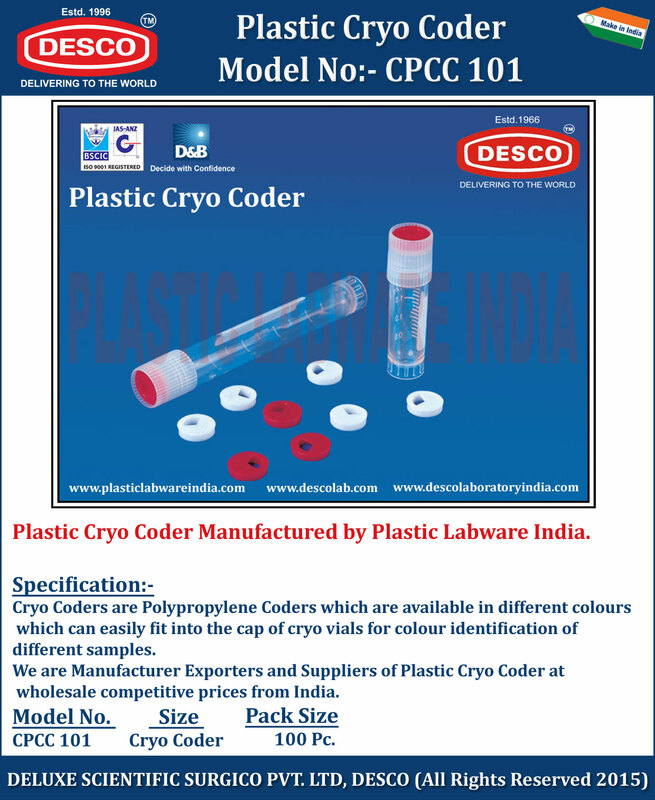 We are Manufacturer Exporters and Suppliers of Plastic Cryo Coder at wholesale competitive prices from India. CPCC 101 Cryo Coder 100 Pc.